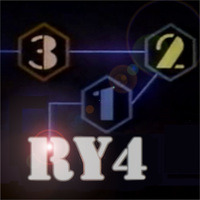 Simple 3, 2, 1 mix of an RY4. You might ask, "Why would you make this if you've already got Holy Holy Grail RY4?" My answer is simple. Because Cardinal . . . that's why. Also, I've been neglecting JF RY4 Double and FLV Milk and Honey and wanted to try my hand at simplicity. At only 6% this is a surprisingly bold RY4 . . . extremely thick and rich. Mixed it up last night (60vg/40pg) . . . filled up the Savour with it this morning. It goes great with coffee. This recipe is the property of LonesomeRhodesTN and released under the CC Attribution-NonCommercial-NoDerivatives 4.0 license. You may not copy, derive or commercialize this recipe without following the terms of this license or the explicit permission of the creator. This seems like great example of what can be done with JF RY4 Double that makes it superior-tasting, if not more versatile, than its TFA counterpart . Full-flavored and dark vanilla-forward, some rich caramel, and a thick, satisfying cream, with a solid hit of sharper toasty tobacco notes tightening up the finish. There’s a lot going on in this deceptively simple recipe, because all to JF RY4 Dub and FLV Milk & Honey complexities come though. I kind of expected that much Holy Vanilla to smother them but it doesn’t, it just makes it a caramel-vanilla-tobacco. Love this.